All people will at some point become ancestors. What legacy do we leave for those who follow us? How do we pass down knowledge and what form does it take? 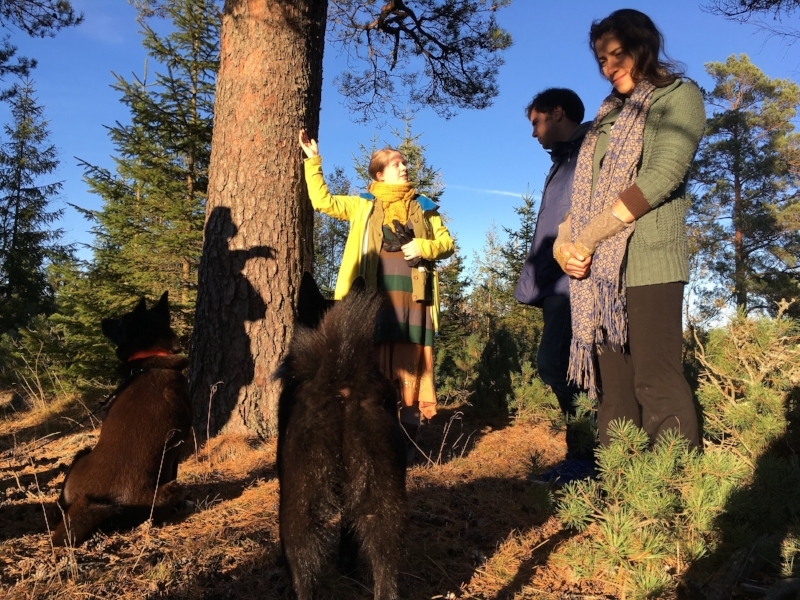 Together with Office for Contemporary Art Norway (OCA) and Sami Center For Contemporary Art (SDG), PRAKSIS invited artists Eliza Naranjo Morse (Tewa, Santa Clara Pueblo, New Mexico, USA) and Ivan Liotchev of International Collaborative Drawing Project (ICDP) to develop its Autumn 2016 residency. 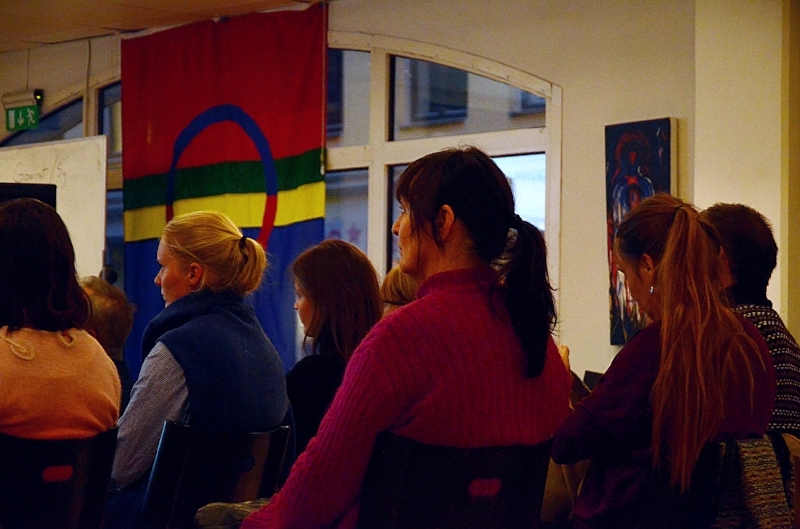 Throughout the residency a series of public events were held at Samisk hus i Oslo. Special thanks goes to Winsor & Newton for their kind sponsorship of this residency. In time, we too will become ancestors... addressed intersecting cultural histories and shared philosophies between differing peoples, seeking synergies that transcend geographical distance. It will seek to bring together people of different cultures, to consider concepts of societal progress and value, and explore questions of identity, history, ancestry and sustainable futures, in relation to aesthetic practices. Narratives of progress, dominated by ideals of growth – acceleration, expansion, yield, profit, gain – have led to environmental imbalance and global humanitarian crisis. Alternative forms of culture and production are beginning to reshape social and cultural models, but the process needs to go a long way further. Dominant concepts of value demand radical re-evaluation. Eliza Naranjo Morse comes from the Tewa people of Santa Clara Pueblo. Located along the Rio Grande river of Northern New Mexico, this indigenous agricultural population has over centuries developed nuanced systems for collaborating with, and celebrating, its natural environment. Despite colonization and the imposition of western culture and technology, the Tewa have persevered and now pursue a positive, healthy future, adapting to modern lifestyles while maintaining the life systems created by its ancestors. The knowledge gained through this historical transition provides the Tewa an alternative perspective on what is valued as ‘‘progress". ICDP is an international art project that uses cooperative art-making to create productive dialogue between different cultures and communities. Acting as a mediator and instigator, ICDP helped create situations for the emergence of new perspectives and collaborative production within the residency. 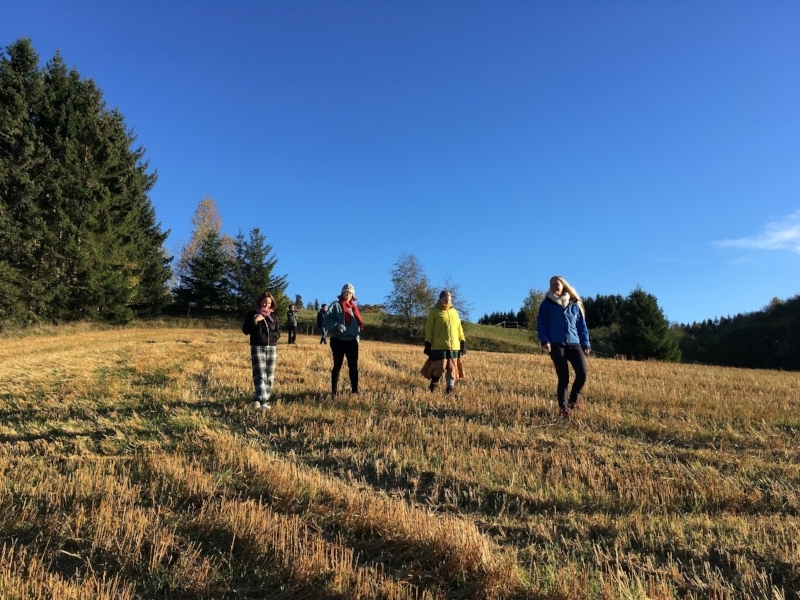 The open call for this residency reserved at least one place for an artist with Sami heritage, whilst welcoming applications from participants across disciplines and from all cultural backgrounds. Generating a ripple-effect of thought and action, the residency invited participants and audiences to consider their inheritances and their neighbours, and understand the choices they make beyond local perspectives. Residents’ differing histories and perspectives, and the various challenges they face, were mobilised as a valuable resource for considering fundamental hopes and needs shared by all of humanity. International Collaborative Drawing Project (ICDP) is a global participatory initiative which uses drawing as a starting point for cooperative creation. Founded in London in 2010 by artist Ivan Liotchev, the project works with diverse cultural organisations and communities to develop drawing events, exhibitions, public art, and multi-media spectacles that explore drawing within a broad context. The Office for Contemporary Art Norway (OCA) is a foundation created by the Norwegian Ministries of Culture and of Foreign Affairs in 2001 with the aim of developing cultural collaborations between Norway and the international arts scene. OCA aims to become one of the main organs in the international contemporary arts debate through initiatives such as exhibitions, seminars and publications, as well as by providing support to Norwegian artists for their activities in the international art arena, and by inviting international curators and artists to Norway. OCA has been responsible for Norway's contribution to the visual arts section of La Biennale di Venezia since 2001. Sami Daiddaguovddas/Sámi Center for Contemporary Art – is a center for Sámi visual art. 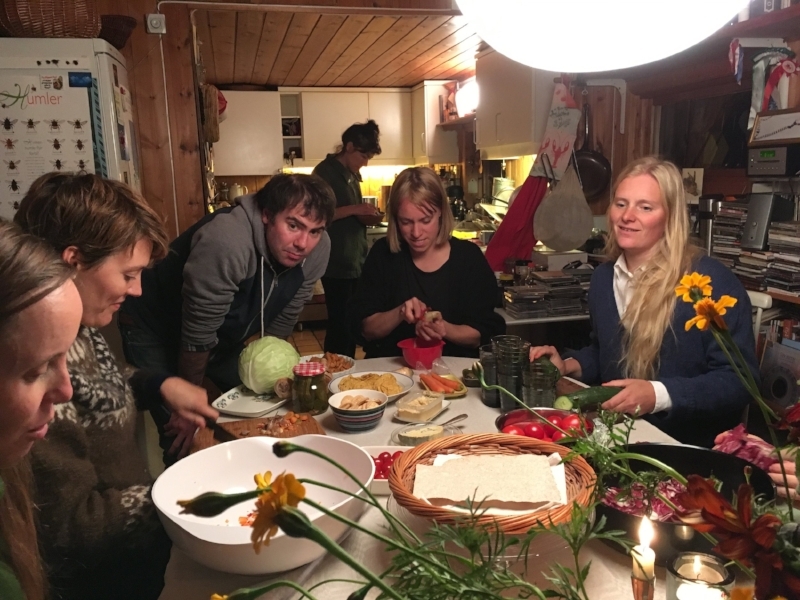 Its year-round programme foregrounds international contemporary art with a focus on Sámi culture, and is international in scope and reach. Through open call residency leaders, Eliza Naranjo Morse (US) and Ivan Liotchev (BG/US) of International Collaborative Drawing Project (ICDP) selected a residency community of two international residents and seven local residents to work alongside them in Oslo, including: artist Clara Json Borg (SE), Karoline Hjorth (NO), printmaker Ragna Misvær Grønstad (NO), photographer Tiril Guttorm (NO), artist Rina Eide Løvaasen (NO), choreographer/dancer Kristin Nango (NO), artist Isfrid Angard Siljehaug (NO), and Canada based curator Ola Wlusek (PL). In this informal session each resident spent 20 minutes discussing their practices: a fascinating early insight into the work and backgrounds of the group. This helped set the tone for the rest of the residency. For the first time, PRAKSIS invited participating residents to suggest workshops or activities they would like to share with the group, in addition to those organised by PRAKSIS. The group’s highly proactive and participatory dynamic shaped a forward plan based on shared learning rather than solo working. 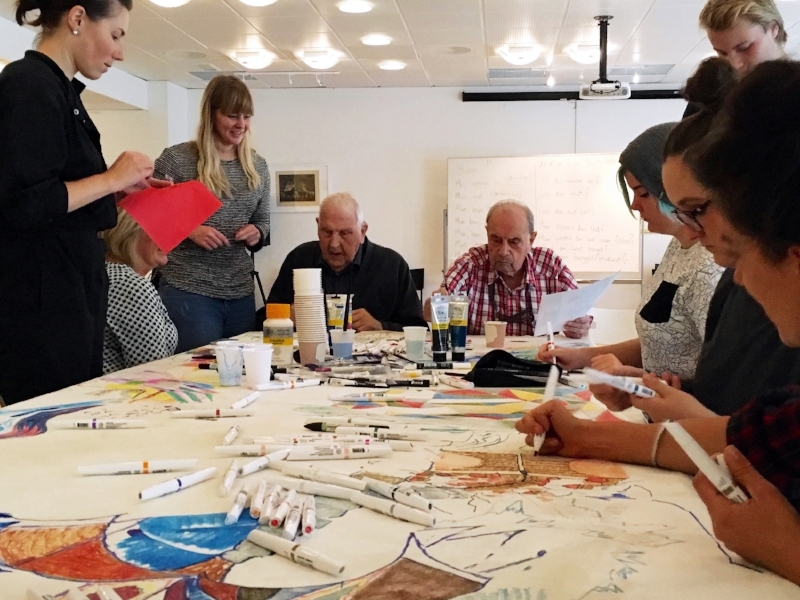 Activities planned included writing, dance and drawing workshops, screenings and critical reading groups, as well as an introduction to joik with Torgeir Vassvik. Eliza Naranjo Morse’s presentation featured a screening and discussion of two short documentaries: Rina Swentzell: An Understated Sacredness (2009) and Always Becoming (2013), introducing the earth-based world view of the Tewa people and its applications to a shifting global landscape. ICDP ran three drawing workshops during the residency, bringing together people of all ages to create and connect. 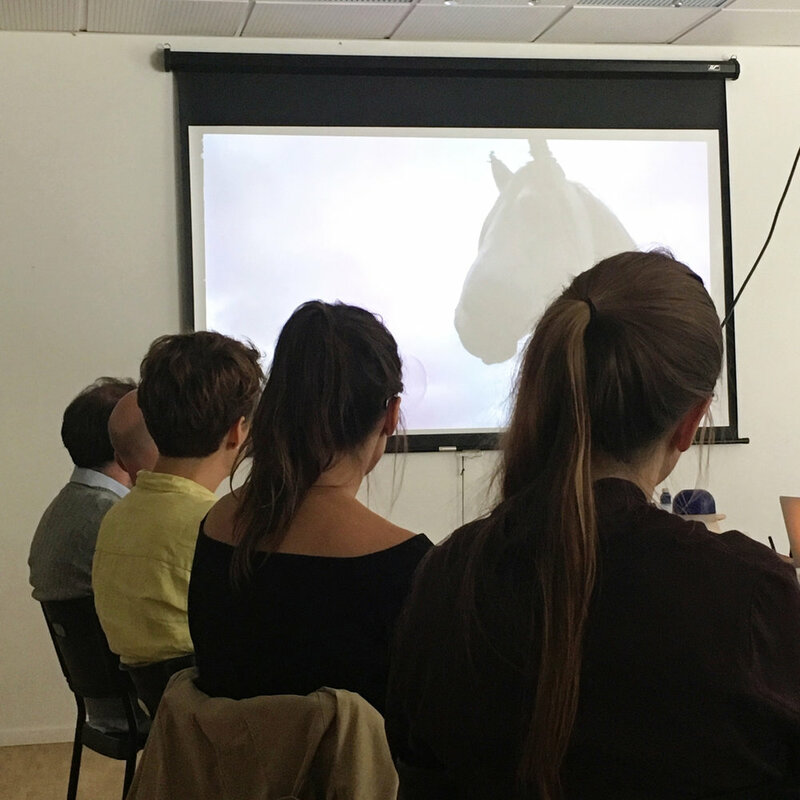 Director, Ellen-Astri Lundby joined PRAKSIS for a public screening and discussion of her film Min mors hemmelighet (Suddenly Sami), which tracks Astri Lundby's journey into her own hidden indigenous heritage, offering personal insight into a still recent history that has affected so many. 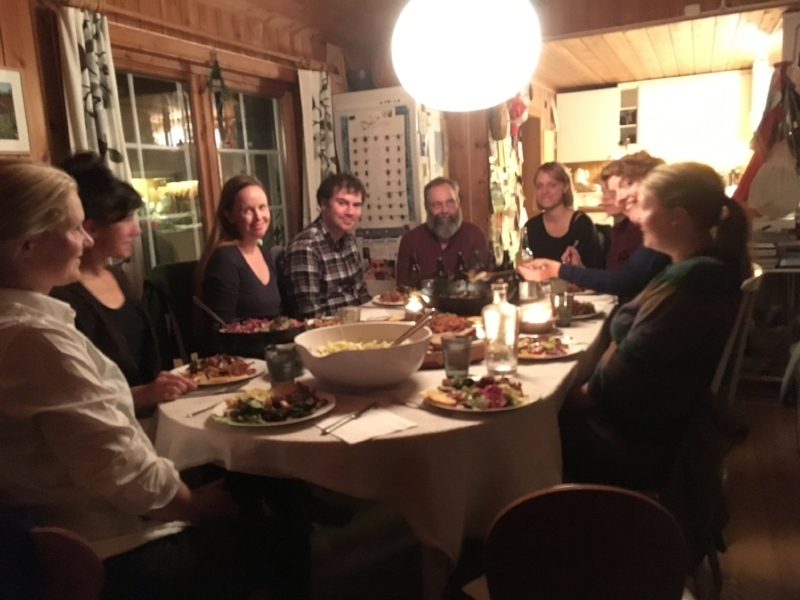 PRAKSIS says a huge thank you to Geir Tore Holm and Søssa Jørgensen for generously hosting the group at their beautiful home and sharing their knowledge of Norway’s cultural heritage, ecology and art traditions. This seminar offered a fascinating insight into perspectives on societal progress and value, with a focus on indigenous knowledge’s reflections on contemporary ways of life and sustainable futures for communication, education and ecology. Contributors included Prof. Anders Breidlid (Professor, Department of International Studies and Interpreting, HiOA), Geir Tore Holm (Artist), Eliza Naranjo Morse (Artist), and Kari Helene Partapuoli (Director, Utviklingsfondet/The Development Fund). Exhibition openings, exploring the city and generally getting to know each other better. Please sign up for advance notice of open calls, opportunities and events relating to our residencies.